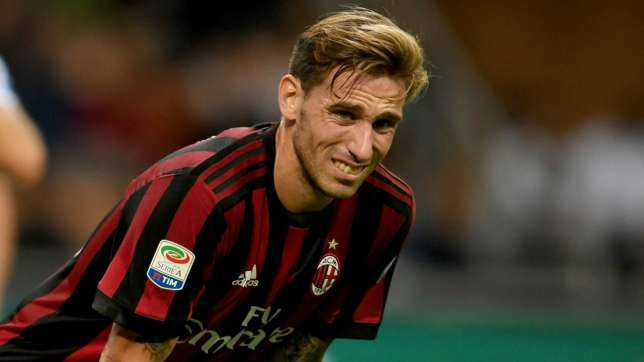 AC Milan midfielder Lucas Biglia could miss the World Cup this summer with Argentina after suffering a severe back injury during the Italian club's defeat to Benevento at the weekend. The 32-year-old was forced off the pitch after 72 minutes in Milan's shock defeat to 10-man Benevento and the club confirmed Biglia has fractured two vertebrae in his back. "AC Milan inform that Lucas Biglia reported a severe lumbar trauma due to an injury during Saturday's match against Benevento," the club said in a statement. "The player has undergone medical examinations that highlighted a fracture of the transverse processes of the first two lumbar vertebrae. A detailed prognosis will be issued in the coming days upon completion of all medical tests." The former Anderlecht midfielder moved to the San Siro this season on a 17-million-euro deal after four years with Serie A rivals Lazio.